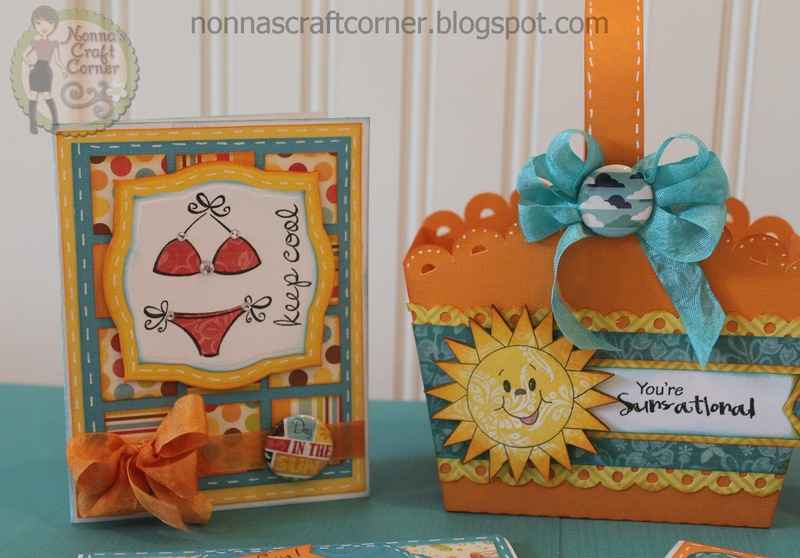 Hello everyone and welcome to Nonna's Craft Corner! I hope you had a great weekend. I didn't get in a lot of crafting time this weekend, but I did manage to finish up a project that I spent most of last week working on. Emma spent the weekend with us and the biggest part of the weekend was devoted to her. We swam, made paper dolls on my Imagine, and she had her first lesson in needlework (thankfully Hobby Lobby has kits made just for her age group). And, we ate...oh my goodness, we ate soooo badly this weekend. McDonald's and The Waffle House... in one day! And, just to top it off, we went to Olive Garden after church yesterday. I need to live on tea and crackers for the rest of this week...but I don't see that happening...lol! 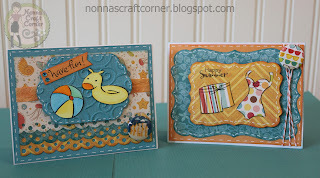 * Patterned paper - Echo Park - "Paradise Beach"
* I used lots of Spellbinders dies and Martha Stewart punches for my mats and borders. 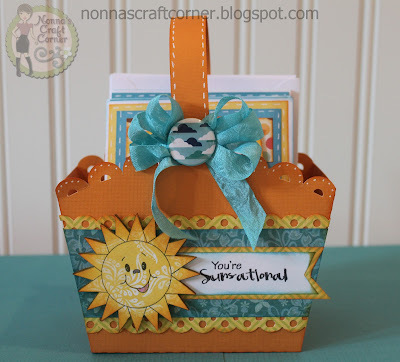 * The sunshine is from "Peachy Keen" stamps - "Large Sun"
* The basket is from the Silhouette Online Store - "3D Basket with handle"
* Those cute little buttons are from American Crafts. I added one to each card and to the ribbon on the basket handle. I've had them for a very long time, and they were perfect for this project. 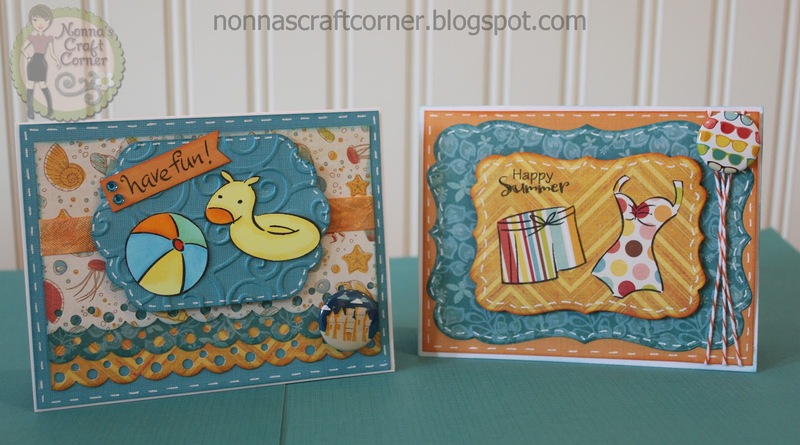 * Using Spellbinders dies really makes creating layers easy! * And here are the cards all tucked away into the basket! Thanks so much for stopping by today! I always appreciate your visits and sweet comments. Now, I've got to get off this computer and get busy. I have two choices...crafting or cleaning...hmmm? I'm thinking the dust bunnies may have to wait another day! Enjoy your day and I'll see you soon. Such a beautiful set...love the basket...the cards...the colours and patterns...just wonderful! Absolutely adorable!!! A friend of mine is having a DT call--you should apply, working with digi stamps. You interested?? This is such a wonderful gift! I'm sure your friend will love this, as I know I would be thrilled to receive a gorgeous gift like this! These are great projects! Wonderful idea of putting the cards in a basket. Thanks so much for sharing! OMG...these are all FANTASTIC! I love the papers and stamps you used! These are amazing! Awesome Job! What a fabulous set of cards and an awesome gift!! 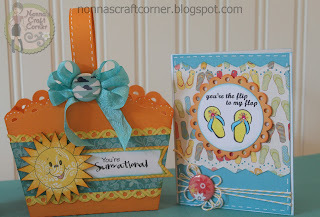 Love, love the colors and stamps! What an awesome gift set!! Your friend is going to LOVE this!!! Awesome job!!! That is such a pretty set! I love the colors, very cheerful! What a wonderful weekend! Your card set is wonderful! I love everything about this set!! Love, love, love the paper, and the stamps you used are just perfect. Whoever is the recpeient of this gift is sure to love it!! This is a terrific gift. All the cards are so cute and I love the basket to hold the cars. Great papers too. Love it all. Wow! What a wonderful set!! And what a great gift!! Wow, what a fantastic gift set!!! you really out did yourself on this project! The papers are beautiful and love all the details! Awesome job! Wow! Tanya, these are all amazing! Each one is a masterpiece! I just don't know what else I could say... Perfection!! !